I went to a market recently to launch the start of the Kenilworth Foodie Fortnight. At a time when communities are under pressure – economically and socially – institutions are trying to work out what their role, if they even have one, will be. The quintessential English town was based on the same meeting places – church, market, pub and post office. Together, dotted along an idyllic High Street, they provided stability and continuity. One by one they have struggled with dwindling attendance in recent times and many have closed. Their relevance has been undermined along the way. I love markets for so many other reasons. They are fundamentally job creators, crucibles for entrepreneurs, supporters of local economies, and fun. Many are failing because of a refusal to change and a failure to govern themselves. Like any retailer, failure to offer an attractive shopping experience inevitably means there are fewer people wanting to shop. Markets in the 21st Century are having to find new ways to compete. Modern markets are going back to their roots as part of the community. They are having to revitalise the product to attracting back the old customers and welcome new ones. They recognise they are part of the High Street not competing with it. A market is a part of a tourism and High Street ecosystem and, for me, it needs to work with the wider community to be successful. We stumbled upon the Kenilworth Foodie Fortnight market on a cool and drizzly Saturday and, small though it was, it embodied the essence of what the markets of the 21st century need to look at. Ostensibly it looked like a farmer’s market. There was a time when rural markets were all Farmers’ Markets and it would be interesting to understand what the French would even make of the term. Too many of them these days are not manned by farmers and the geographical spread can be enormous. At a time when farmers are yet another section of society which is under pressure this is a sad development. 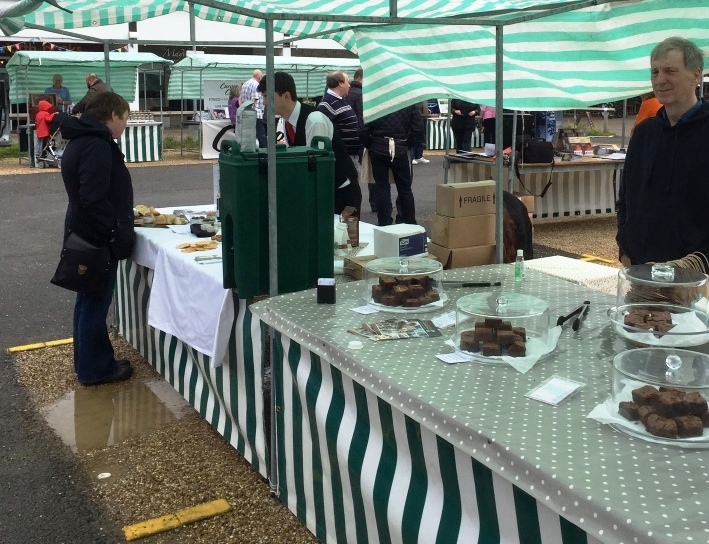 The Kenilworth market did have some local food producers – chutneys and cakes and the rather splendid Kenilworth Free Range – but more interestingly for me was the combination of independent retailers and chain retailers. Waitrose had one of the 20 or so stalls. Full marks to Waitrose for allowing its local store to participate – the supermarkets need to engage and be seen to contribute to the local economy. Local consumers need to understand their local retailers and this is a great way of cutting through the Corporate marketing. Costco also attended but they have always placed a great emphasis on participating in local events. 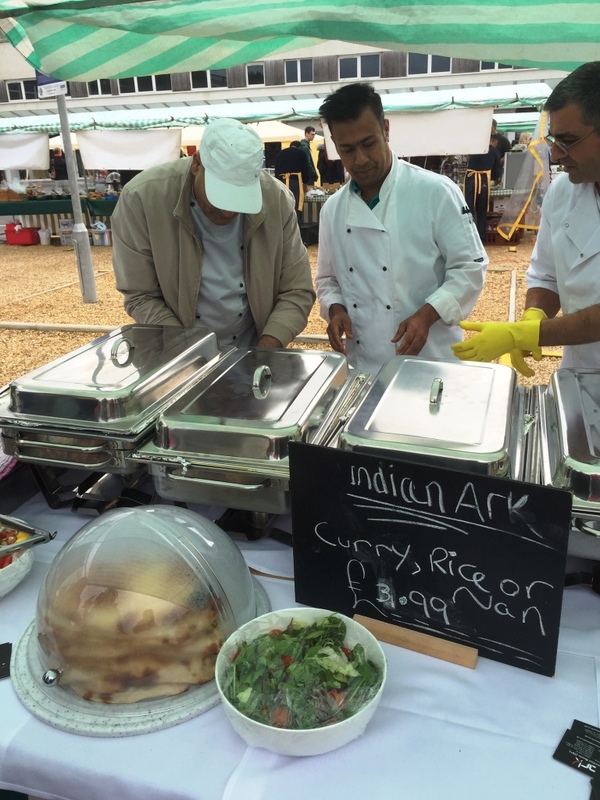 Local restaurants were there too – the local branch of Marco Pierre White’s restaurant and a new Indian restaurant – Indian Ark. They both had an interesting and strong message – White’s advertising their afternoon teas and Indian Ark introducing itself. As a newbie to the town it worked for me and we bought a takeaway from Indian Ark’s stall that was fantastic. They also sold a particularly excellent chocolate brownie. I’ve subsequently signed up for some free range meat and we’ve visited one of the restaurants. A good market is a sign of a healthy town. This entry was posted in Opinion and tagged Costco, Foodie Fortnight, High Street, Indian Ark, Kenilworth, Marco Pierre White, market, Waitrose. Bookmark the permalink.